This is it! Nicknamed the "king of cheeses", Parmigiano Reggiano is a DOC cheese named after the town of Parma in the Emilia-Romagna region of Italy. This partially skimmed unpasteurized cheese is the most popular cheese sold at Todaro Bros. and one of the most versatile cheeses in the world. The cheeses sold here are “Straveccho”, which are aged between 24 and 36 months. 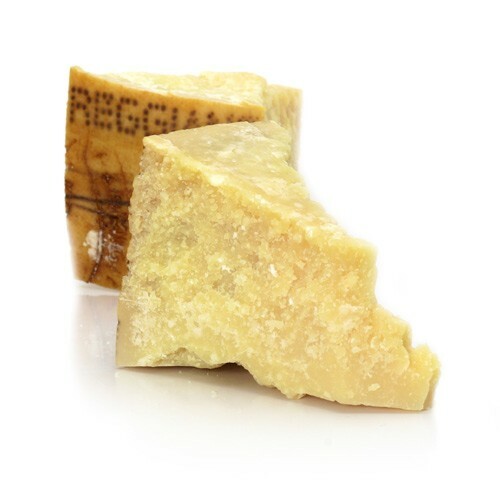 It is our opinion that these forms are the most flavorful well-balanced Reggiano’s. The texture is firm and grainy and its flavor is rich and nutty.